Boeing has told Reuters  on February 12 that the company has implemented a number of new measures aimed at combating a rise in health issues reported by F/A-18 and EA-18G fighter jet pilots. The statement follows last week’s revelations from Michael Turner , Chairman of the House of Representative Armed Services Subcommittee on Tactical Air and Land Forces, of a decline in the well-being of pilots, with common problems including insufficient oxygen and depressurisation during flight. Specific measures are underway to address those issues, including incorporating changes to the filter material in the aircrafts’ on-board generation systems and improving maintenance practices. Russia continues to invest  in its naval fleet, with President Vladimir Putin expressing his desire  to modernise Russia’s submarine fleet by purchasing additional boats, and potentially by developing and acquiring new models. 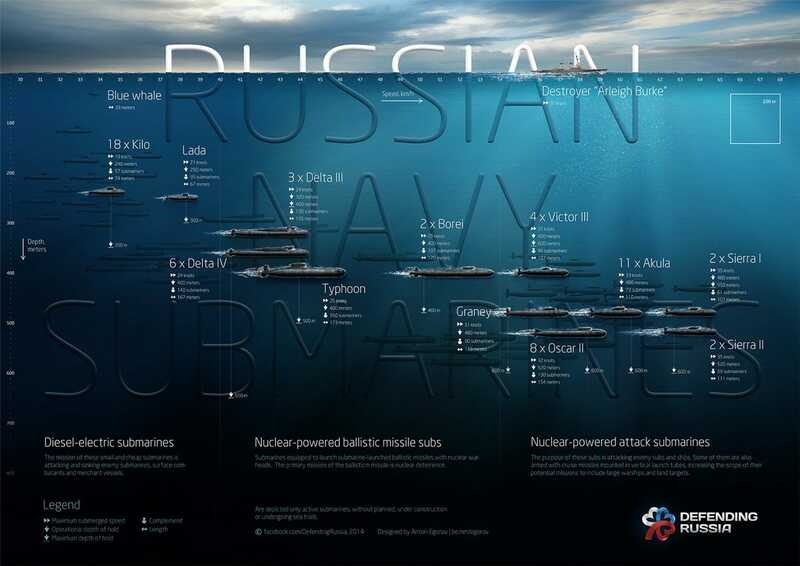 Check out this fascinating infographic  from designer Anton Egorov for a look at Russia’s current submarines and their maximum depth. Real Clear Defense’s interview series, Defense Talks , last week featured US Chief of Naval Operations Admiral John Richardson, who discussed the US Navy’s budget restraints, how it can maintain its fighting edge, and the threat of peer competitors Russia and China. This week, US Air Force (USAF) officials announced force structure changes  resulting from the 2017 defense budget. This official US DoD infographic  shows the various proposed force structure changes set out by the 2017 budget for the next five years. Breaking Defense has published an informative article  outlining some of the key changes to USAF structure, which also includes a spreadsheet detailing the most significant program investments, such as finance for the Long-Range Strike-Bomber increasing from $736.2 million to $1.36 billion in fiscal year 2017. 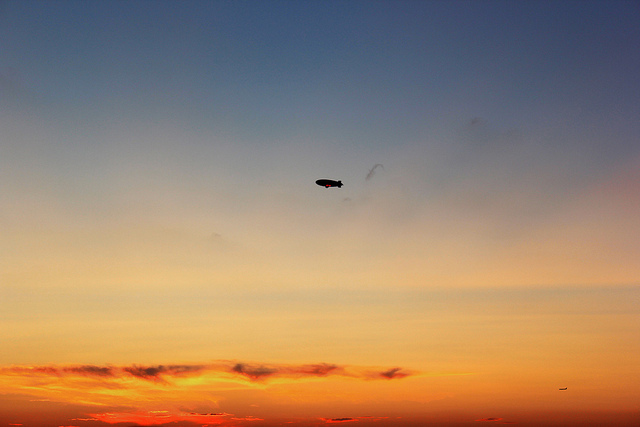 You might recall the infamous ‘blimpgate ’ incident we reported on late last year. For those of you up late at night pondering the fate of the wayward airship, rest assured, it will fly again . Recent investigations into the incident found that the blimp’s escape was due to a combination a design, human error and procedural issues. Despite this, and funding cuts of US$30 million  to its program announced the month after the incident, the blimp will grace the skies once again. And in F-35 news (because it wouldn’t be Flight Path without an update), the US general in charge of the program, Lieutenant General Chris Bogdan, has outlined the biggest risks yet to be faced by the development program in a fascinating Defense News overview . The DPRK’s purge of its top military officials continues  in the lead up to the Congress of the Workers Party in May  with reports emerging last week  that North Korean Army chief Ri Yong-gil had been executed either on 2 or 3 February. A member of the Korean Workers’ Party Central Committee and a deputy delegate to the Supreme People’s Assembly, he became the Chief of the Korean People’s Army (KPA) General Staff in 2013 . However, this was short lived: following in the grim footsteps of other senior staff  since Kim Jong-un came to power, he was apparently executed due to corruption and participating in a factional conspiracy . Fun fact: 14 February marked a century since as many as 15,000 Australian Army soldiers led a ‘strike’ through the centre of Sydney in what has become known as the ‘The Battle of Central Station’ or ‘The Liverpool Riot of 1916’ . Soldiers looted pubs, raided food carts, smashed shop windows and harassed civilians in response to deteriorating living conditions at Casula Camp and disputes about training expectations. It resulted in the court-martialling  of as many as 1,000 soldiers  and the death of a volunteer recruit, Ernest William Keefe, who was shot dead in a melee by troops and police officers called to quell the situation. A bullet hole can still be found  at the entrance to Central Station’s Platform 1, and The Daily Telegraph has illustrated a commemorative outline of the event here . Dione Hodgson, Ashleigh Sharp and Lachlan Wilson are research interns at ASPI. Image courtesy of Flickr user Roman Iakoubtchik.